It looks as though we're in line for some revamped Mac Pros at this year's WWDC 2013, with one chatty project manager letting slip that something "really different" this way comes. 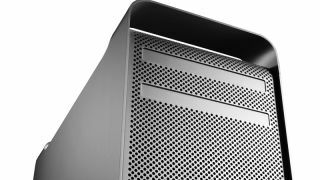 Speaking with RedUser.net forum member Drew Baird, Mac Pro project manager Douglas Brooks said that Apple is currently "doing something really different" with the Mac Pro. That's pretty much all we have to go on at present but with WWDC kicking off next week, we're expecting to find out more very soon. Something "really different" could refer to the design of the tower which has remained fairly slow and steady for several years. The conversation took place "a couple of months ago" so it's not outside of the realms of possibility that these exciting new updates are ready and raring to go for a WWDC 2013 reveal. We'll be bringing you all the Apple news as it breaks, so stay tuned for our coverage which kicks off on Monday June 10.